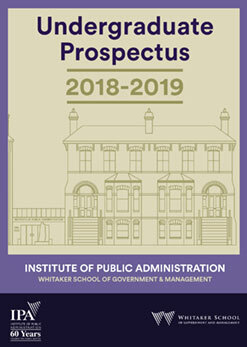 The Institute of Public Administration is Ireland’s only public service development agency focused exclusively on public sector development. 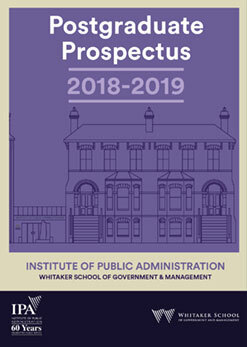 Full details on all programmes offered by the Whitaker School of Government and Management at the IPA can also be found in our undergraduate and postgraduate prospectuses, available here to view or download. The Institute offers a range of consultancy services designed to assist organisations with the development and achievement of their objectives. With great expertise in governance, auditing, financial management, human resources management and other areas, our specialists can help your organisation to identify and solve its problems and shape its future. View list of Consultancy Services. The IPA Library has a comprehensive collection of material on management and business studies. It houses books and journals on a wide range of subjects including law, politics, economics, management, accounting, criminology, the EU, healthcare, finance, local government and sociology. IPA librarians are on hand to assist students in their studies and their search for information. The Library provides information, reference and lending services to IPA students, members and staff. The Institute of Public Administration enjoys an excellent reputation for providing consultancy and other services to public service bodies around the world. The Institute's International unit has worked with governments and public sector bodies in many countries, including Zambia, Montenegro, Cyprus and Russian Federation. For more information, explore our International page. 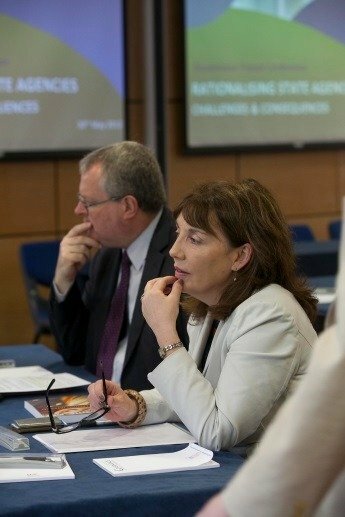 The IPA offers a state of the art Training and Education Centre with meeting facilities for hire. These include a 120-seat auditorium, lecture and seminar rooms, and computer labs. All rooms are fully equipped with the latest audio-visual technology. The Institute also has a canteen that can provide light catering. Members of the IPA, including corporate members, will be able to access a range of information and other services through the myIPA portal using their membership login details shortly.